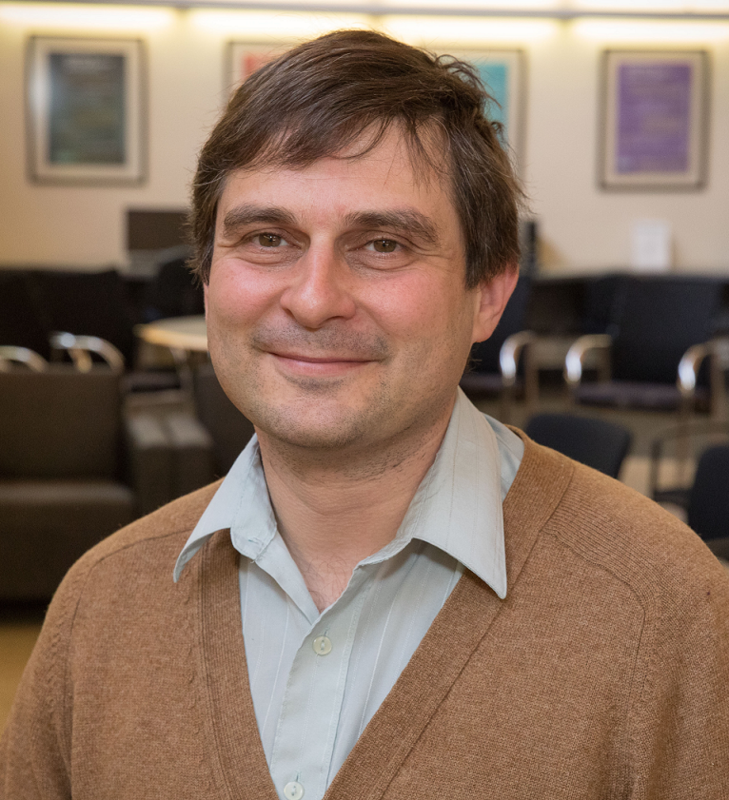 After a thorough national search, IPAM is pleased to announce that UCLA math professor Dimitri (Dima) Shlyakhtenko will assume the directorship of IPAM on July 1, 2017. Dima replaces Russel Caflisch, who is stepping down as Director after nine years. Shlyakhtenko has been a member of the faculty at UCLA since 1998. His research is on Operator Algebra and includes Free probability theory, von Neumann algebras, C*-algebras, L2-invariants, and Poisson geometry. He received his PhD from University of California, Berkeley in 1997 at the age of 22. In 2001 he was awarded a Sloan Foundation Fellowship and in 2010 he gave an invited talk at the International Congress of Mathematicians in Hyderabad, India. His outstanding teaching was recognized in 2004 with the R. Sorgenfrey Distinguished Teaching Award. As chair of UCLA Department of Mathematics from 2012 to 2015, Dima expressed his support for IPAM’s renewal proposal to NSF in 2015. He is the lead organizer of IPAM’s spring 2018 long program, Quantitative Linear Algebra.